ScoutLink Minecraft is a massive open-world game where you dig (mine) and build (craft) different kinds of 3D blocks within a huge unique world. Explore different terrain types, fight dozens of monsters, and build your dreams! In this world the sun rises and sets as you go about your work, gathering materials and making tools. Working on your own or as part of a team, the only limit is your imagination. Take a look at our map to tour the server and see what the scouts are building by clicking here, and join us! Minecraft comes in three different editions for different platforms – computer, mobile devices, and consoles (Playstation and Xbox). 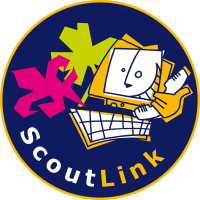 In order to play on ScoutLink Minecraft you need the computer edition (also known as Java Edition), which you can buy from Mojang at https://minecraft.net/en/store/minecraft/. Start Minecraft and chose “Multiplayer”. 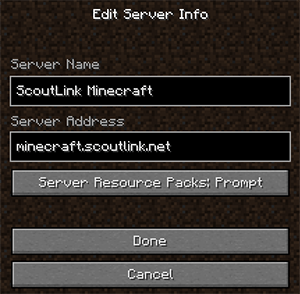 Add new server and type minecraft.scoutlink.net as server address (we use standard port 25565). When you log in for the first time you spawn at the hub. 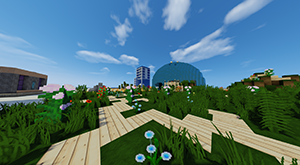 This is a global meeting place where you chose which gamemode you want to play (survival, creative, mini-games or city-world). Just walk through the portal below each heading to join that gamemode. You can also type /survival, /creative, /city and /skywars. Remember you can change gamemode whenever you want to by typing /hub to get to the hub or any of the commands above. Besides that, the hub is a great place to chat and hang out with other scouts from around the world. There are multiple game modes you can choose – each with different rules and activities. In survival mode you’re surrounded by trees, grass, snow, mountains or water. The sun will be in the sky and you might hear the gentle sounds of animals nearby. pickaxe, so you can start digging down into the ground to collect coal and cobblestone. Once you have those you can make some torches and better tools and weapons, which will be very important in protecting you from the creatures that come out in the night… speaking of which, you need to hurry and make some kind of shelter before that sun starts to set. That’s day one in ScoutLink Minecraft, which is about 10-20 minutes in real-time. The next few days you’ll be busy building a more substantial house to protect you from the monsters, putting together a furnace for smelting, finding sheep so you can make a bed, crafting tools and weapons, making chests to keep all your stuff in and securing some kind of food source so you don’t starve. After that, now that you’re getting better at keeping yourself alive you might spend some time exploring caves, mining for valuable ores and help and build together with other scouts. Or maybe you love fighting monsters and start building weapons and traps. You might even go off on an adventure to find villages and temples and abandoned mine shafts, or decide to build a city or start a farm. The opportunities and decisions start to become endless, limited only by your skills and imagination. In creative mode you’re surrounded by plots (squares you can build inside) where scouts from around the world build what they like. What about some skyscrapers? Your local scout campsite? Statue of yourself? Only your imagination is the limit. To start you need to claim a plot. This is done by standing in your desired plot and type /plot claim. You can now build whatever you like as long as it’s scout friendly. Have fun! Rhodesia city is an attempt to plan and build a city with an aim of being as realistic as possible. You earn your place on our building team by proving that you can build to a realistic standard. This is a very rewarding world to be a part of, and interesting for spectators to watch progress on the city! This world is similar to survival, except you’re trapped on an island. You need to make the best use of your limited space to build your home. Every block you use is worth points. Can you gain enough points to get to the top of our leaderboard? Compete against other players in a Cluedo-style detective game where you need to work out which player is the werewolf. Guessing incorrectly can be dangerous – you don’t want to be left alone with the werewolf! Click here to read the most used commands you can use in the game, with a description of what some of they do. Click here to read some of the most common questions with answers that we get from other scouts. 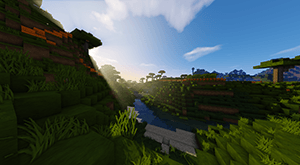 If you get a message about using an outdated version of Minecraft when you try to connect, you’ll need to click here for a guide about how to change your Minecraft version. Minecraft team members have a title/prefix in front of their names in the game which describes their roles in the team. Anybody with their name in red is a team member who will be able to help you. You can find out more about these roles by clicking here. Join #help channel on IRC, or simply click here. Click here to use our contact-form. We will contact you as soon as possible to resolve the issue.